So i have a problem I can't wrap my head around. I've been trying to convert my Fish Tales to LED. I've already applied the G5 WPC ghosting patch but it still isn't going according to plan. The problem that i'm having is that when for example, I light lamp 21, lamp 11 also turns on. This looks like a generic diode matrix problem, But what i do, I cant seem to find the problem. Probed every diode, but it didn't seem to fix it. There was also 1 diode that blew twice. Now i've replaced it with 2 in series. It doesnt blow anymore, but also doesn't seem to have fixed the problem. I'm also suspecting it could be a transistor problem, But i've also probed them, And all values were in between 0.4 and 0.6 aswell. I've also include a picture with a list of which light also lights another light. Is there anyone who can lend me a hand haha? Changed all the bulbs back to incandescent, And it works fine. But i'd really like to LED it out. Also measured the lamp matrix directly at the board connectors to look for any reverse diode posibilities but didn't find any. Tips/Things to look for would be greatly appreciated! So i've also noticed, That the more LED's I add to a row/column, The more the other LED's start to ghost, And ultimately they glow just as bright as the light that is supposed to be on. Read somewhere that when a mix of Incandescent and LED's where used, Transistor leakage current was a possibility. But this test was performed with all of the Incandescents removed. Really starting to doubt the transistors, Measured the whole matrix again for backwards diode possibilities, But none were existant. Get an LCD OCD board and this is solved. Purchase the non-ghosting LEDs from Comet. They're .89/pc. That's what I have in my FT, no issues whatsoever. yeah if everything works fine with the incadecents then you know the board and the diodes are all working functionally. It has to be an issue with the leds you are using. remember led's are diodes in an of themselves. You could try switching the direction of the bulb you are using and see if that has any effect. First of all, thanks for all the suggestions! Well, I could do this. But for my needs, just a regular LED conversion is enough. I will look into Comet leds, just ordered some ultiflux leds to try, I am using generic 6.3v AC (they are just a led with a resistor actually) bulbs atm. Could be that they are too cheap. But thought the WPC Ghost patch would help enough. You could try switching the direction of the bulb you are using and see if that has any effect. Yup. Then they just won't Light because my current leds are normal leds. Played around with a few configurations, color doesn't seem to play a huge role. Other manufacturers leds are coming in in 2 days. 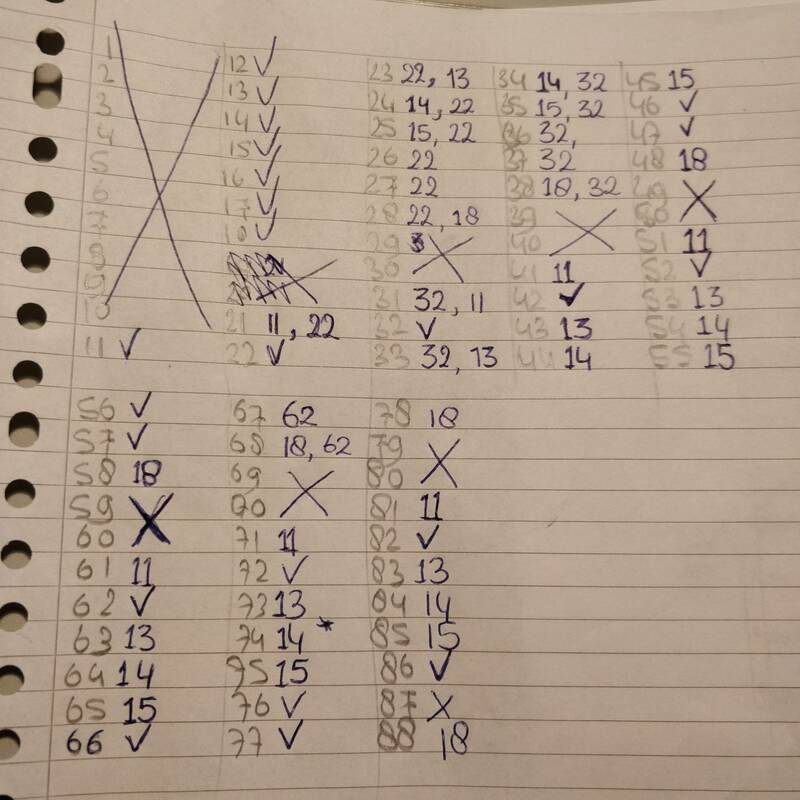 I also replaced Q98 (column 1 Tip107) but it didn't solve it either. Good call, will try that too, thanks! Currently switching every bulb back to a led, Noting down the pairs that blink when they shouldn't and just randomly swapping transistors I guess. Help still much appriciated haha! For every lamp in a column, Lamp 2 and 3 in the same column always go on with it(except Column 1 and 8). For every lamp in a column, the corresponding column 1 lamp always turns on. And maybe swap transistors if suggested. Thanks in advance, Still stuck haha! Just replaced all the column driver tip107 mosfets and it seems like the problem has gone away a bit. There still is some ghosting but far less than with the old Tip107's. Maybe the last bit of ghosting is caused by still a few incandescents in the matrix. Or by the row drivers. May replace them another day if I feel like it. So still haven't solved the issue. Currently looking for a OCD board in the neighborhood i can borrow, Cause i still suspect it's a hardware issue. But can't pinpoint it. Anyone with a bright fresh idea? I've tried a few things, but still no concrete results. The thing I did notice, is when unplugging the PCB under the captive ball (Lamp 11 through 15) All of the problems go away. So i did some more investigation on that PCB but couldn't find anything out of place. Removed my old double diode thing back to a single. But didn't fix it. Have you tried going back to the official L4 or L5 rom? Sounds like all the issues started from running new rom. I would also try using regular incandescent bulbs in the places causing trouble and see if that changes anything. I will try going back to the L4 rom. Good call. Also read in another topic that a D6 rom is out. Which should also be different from L5. Maybe will give that a shot aswell. Also crossed my mind that I think I broke a piece of ground braiding a while back. But the machine functioned just fine. Will take a look at that too.